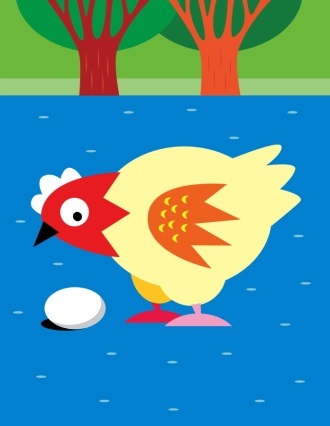 What came first, the chicken or the egg? While that was a real head-scratcher in elementary school, the business world is full of examples where cause and effect seem to have the same circular relationship. In the case of a company’s balance sheet, the resulting momentum of this repeating cycle can be good news or bad news. Let’s take a look at one example that feeds into our favorite topic, forecasting software, with the chicken and egg being played by inventory problems and margin erosion. Inventory problems, be they stock control, inventory write-offs, out-of-date products on the shelves, or lost working capital, can lead to margin erosion. The margin erosion can in turn lead to cutbacks in technology of the very sort that would work to repair the errors in inventory. The problem with down economic times for a company is that the money ‘has to come from somewhere’ to make technology investments, and if growing revenue isn’t the source, then it will mean allocating capital from the budget. Easier said than done, and this is where analysis and proof-of-concept come into play. Looking at the analytics, inventory problems are one of the largest costs on the balance sheet, and can take the form of everything from costs of extra storage, wasted production space that could be allocated to more profitable or even neglected purposes, and forced discounts to clear the inventory. Even worse, if your business is B2C, unhappy customers may shift their dollars and hard-earned loyalty to another brand. If your business is B2B, your customer could be another manufacturing plant, and the last thing they need is an unreliable supplier when they are trying to plug the holes in their own supply chain. So the case can be made that there is a break in the system. But is it process-related? Technology-related? Both? Let’s say it’s both. In a perfect world, your continuous improvement or operations specialists have been on top of the process problem, and they are addressing the problems iteratively, and without the pain and suffering of a re-haul of the entire supply chain. But either way, when technology is lacking, the case must be made for the losses present that will be resolved with the new technology, whether it’s homegrown or 3rd party. If it’s 3rd party, the demos of the potential technology solutions should illustrate innovative forecasting modeling, an intuitive and powerful user interface, an ease of integration into the current process and IT infrastructure, and optimum visibility by stakeholders into the supply chain. The last item – visibility – is one that Deloitte defines as “the ability to monitor supply chain events and patterns as they happen, which lets companies proactively—and even preemptively—address problems”. In their Supply Chain Risk Survey, “The Ripple Effect”, they call visibility one of the pillars of supply chain resilience. Visibility was just one of the attributes of the forecasting technology that we were able to deliver to Intermatic, a global leader in energy management solutions. Intermatic chose Demand Foresight in their forecasting software search, and subsequently were “dramatically increasing the accuracy of demand”, at a level of 25%. 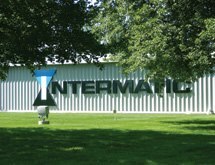 This spring’s issue of Supply Chain World magazine features Intermatic’s success story, with their endorsement of Demand Foresight not only for the expected reduced forecasting errors, but for the mobile capability that allowed a just-in-time environment where sales could enter orders, and the factory could immediately begin working on the products: visibility. New supply chain technology assessment should be governed by the honest evaluation of all interested users, with the realization that resistance to change, as well as a tightening-of-the-belt mentality as it relates to technology investment, will need to be addressed. At the end of the day, it doesn’t matter what came first – the inventory problems or the margin erosion. The driver for the supply chain software initiative has to evaluate all of the vendor capabilities, and balance them with the internal user priorities – not an easy task – to find a provider with not just the right product, but the willingness to listen, understand, advise, and commit to the success of the project – a partner. Measurable performance, partnership, fiduciary responsibility – these are fairly consistent themes within the Demand Foresight blog. These themes and values were highlighted again through a couple of stories in the news over the past 10 days or so. One was an Oracle Implementation for the Air Force; the other SAP’s announcement that they are raising rates for their maintenance services. For the Oracle story – and the 80 to 100 million dollar budget that ballooned into 1 Billion dollars spent, a cancelled project and no measurable performance of any type. Some of you reading will say that is the military or big government for you – that always happens with scope changes etc. Realizing that this is a professional website, let me adjust my normal wording and say that that type of reasoning is a bunch of malarkey (yes – a real word – I looked it up). The consulting company involved, the Air Force and Oracle were all willing participants in this very sad story, and it reinforces the very strange fact that software projects are very often not held to the same operating principles that drive normal business operations. Would the Air Force allow a critical supply mission of weapons and provisions to fail – would they just cancel the flights because of some tough conditions on the ground? Of course they would not – they are the U.S. Air Force – operational failure is not an option. But software – completely different story – why? And to our way of thinking, Oracle is part of this – they got their license fees, so what if it doesn’t work. Where was their skin in the game? Where was their commitment that this critical project was successful? Until the buyers of software start holding suppliers accountable – and this can and should be done in contracting and even in choosing who the potential bidders can be (if you don’t offer a performance guarantee, you cannot bid) – these type of results will continue to happen and they absolutely should not. Similarly, SAP is raising prices for maintenance support. Mind you, they are not simultaneously offering any improvements or new services within the support programs. They are not tying the maintenance to improved utilization of the functionality. It is just an across the board increase. And as it turns out, a lot of their customers really have no leverage to contest the increase. Because many of their clients have committed to an integrated IT platform under a single brand name, they are completely at the mercy of their supplier – in this case SAP. So from one perspective – you can’t really blame SAP. They are taking advantage of a situation that they worked very hard to create. More power (and $ to them). However, what does that say about the fundamentals of their ‘partnering’ with their customers? And to the companies that bought into and continue to support sole source, single vendor integrated IT strategies – when do you start to think about IT just like any other strategic vendor. If you are manufacturing or assembling cars, or vacuum cleaners – you would never have just one option for sourcing motors or engines – why is it okay to trust just one supplier of mission critical IT functionality? Where is the sense of fiduciary responsibility by the company executives to shareholders and private owners to rethink the approach to IT vendors and approach it in the same way that operational initiatives are treated? And what are IT providers doing to help make that happen? Until the culture and expectations around IT implementations are radically rethought, these types of stories highlight the risk associated with critical projects like improving S&OP capabilities and taking advantage of profit optimization opportunities – the types of initiatives that really drive bottom line improvements, and that is what is really unfortunate. Forecasting MUSTS for profitability every day and after disasters. Demand Foresight would like to congratulate Barry Andrews, CEO of Andrews Distributing, on his induction into the Texas Business Hall of Fame. Great work Barry. We look forward to continuing our proud partnership in creating future profits with Andrews.